Vintage Mens jackets for every era, trend and style. A wide variety of jackets that are in excellent condition and emulate styles and looks from every decade, a good selection for men that won’t disappoint. Browse and find – the selection for Mens vintage jackets range..You’ll find bomber jackets, and double breasted jackets are here in a range of styles and colours. We have everything from 1970s leather to acid washed denim retro jackets for men. We also have a really interesting selection of waistcoats to compliment your choice of jacket. Our jacket styles are many and span six decades and with an affordable price range.Regardless of what you’re budget is, you know you’ll be bound to find something that fits the bill. We also have a versatile range of racing jackets that come in a variety of styles and colours, so if that sounds good then take a look.We have a seriously impressive selection of military jackets too, always a smart choice with jeans or pants. 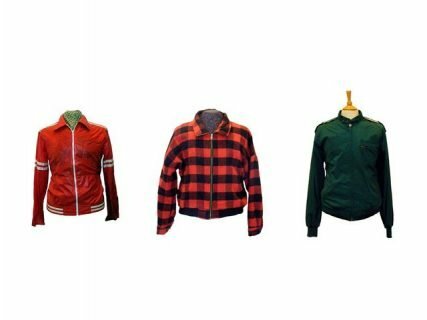 Take a look at our vintage Mens jackets and browse at leisure. There’s a variety of different sizes and if you’re in store, you can try them on for size. At the end of the day, vintage is always best and the retro jackets mens range at Blue17 vintage is no exception, you can find something at an affordable price that gives you an authentic look for whichever decade you favour, and at the same time, with our good quality stock of retro mens jackets, your purchase will be an investment to cherish.